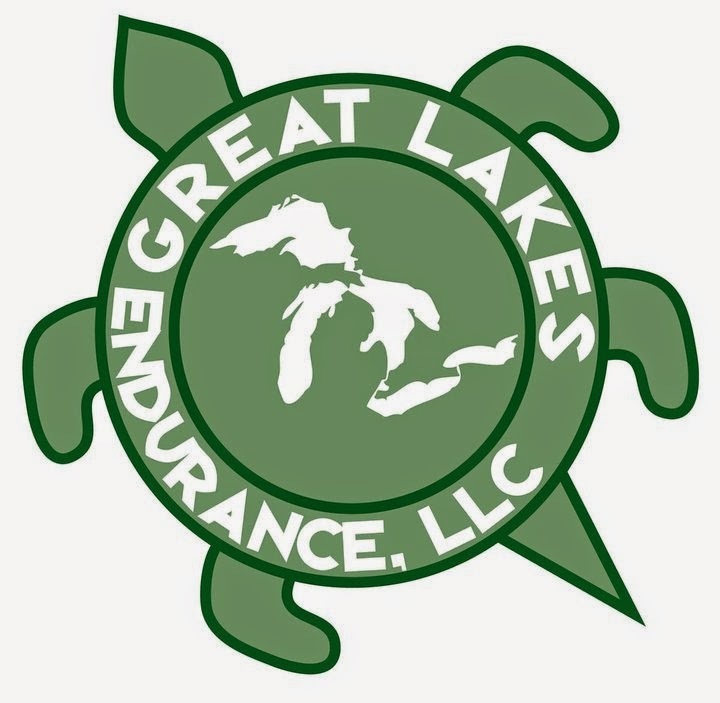 DETROIT RUNNER....: Hyland's Fit talk first post - "First Day of Marathon Training"
Hyland's Fit talk first post - "First Day of Marathon Training"
3 miles on the schedule today. I actually ended up doing 5 miles today since I was feeling pretty good. Oh how I love the start of marathon training. There nothing like having the sense of accomplishment as you finish each run under your marathon training schedule! Yes, you read that correctly. This is my first day of training for Marathon number three, the Flying Pig Marathon in Cinncinati, Ohio. The timing of this also fits in really nice for people that have a New Years resolution to get fit this year! For those of you that don't know, I ran two marathons last season. I was not planning on two this season but I think that this one fit in well with my running schedule and it's known to be a really great race. I have been asked to share my marathon training experiences throughout the next 18 weeks on Hyland's Fit Talk on Facebook(Click HERE to follow them). Once a week, on Monday's, I'll have a post that discusses my last week of training and any tips, struggles, successes that I've had over the last week. I'm really excited to share my experiences with all of you interested in hearing about marathon training. While I'm still relatively new to the marathon distance as well, I hope that I can provide some good information over the next 18 weeks to help you decide if you want to run a marathon or perhaps to help keep you motivated throughout the process for any distance that you are training for. Don't think you can do it? Neither did I but I lost 60 pounds learning how to eat right and exercise. It's not easy but it's worth the effort! 1) Set up a free google account and click on "Join this Site" on the right hand side of my blog. 2) Enter your e-mail address and my posts will be sent via e-mail to you. 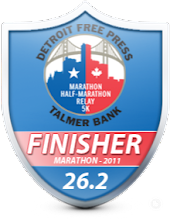 4) You can also follow along through Google Reader and subscribe to Detroit Runner. 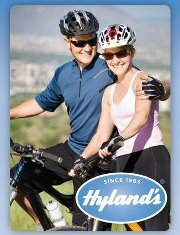 5) You can follow along through Hyland's Fit Talk Facebook page each Monday. 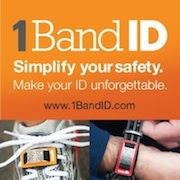 Please feel free to comment on this site or on Hyland's Fit Facebook page and I will respond to any questions you might have. 1st day for me too...but for the Toronto Marathon. Marathon #2 & training long distances through the winter....will be a BIG learning curve for me. Me & the dread mill don't get along so I will be outside for most runs. Today was my first snowy run....way better than heat! I'm rolling right into my next program for Big Sur after Houston next Sunday. 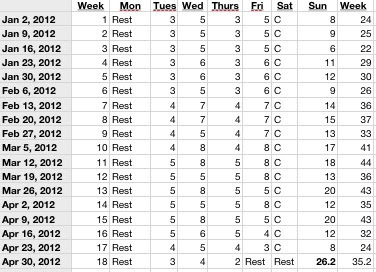 My plan looks a lot like yours with a little more mid week running (Big Sur is the same weekend as Flying Pig). I'll be interested in tracking your progress in comparison to mine!!! Nice to have a couple outdoor runners following. I'll be outside 97% of the time.